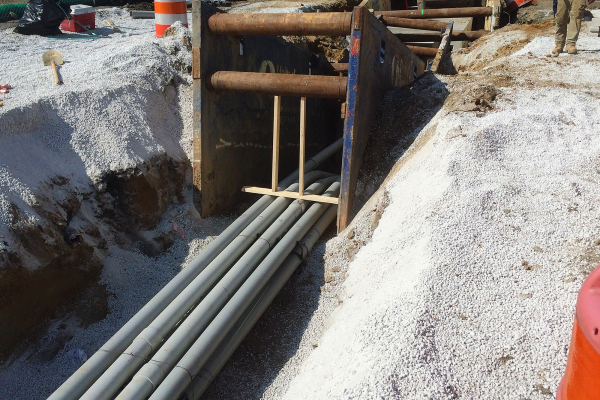 There was a very early milestone on this project which required South State to remove approximately 15,000 CY’s of regulated material, install approximately 20,000 CY’s of light weight fill, install 750 LF of concrete drainage pipe and 400 LF of PSE&G distribution duct bank within the first four weeks of the project. 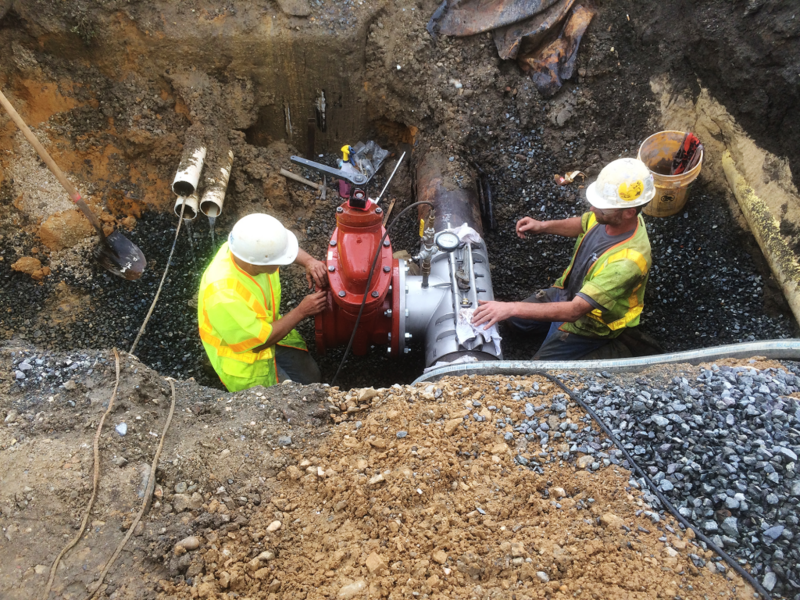 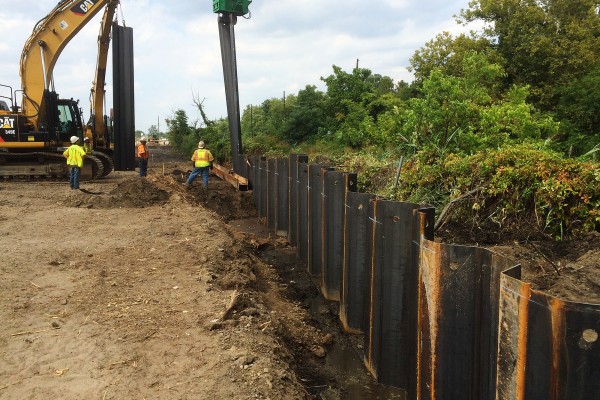 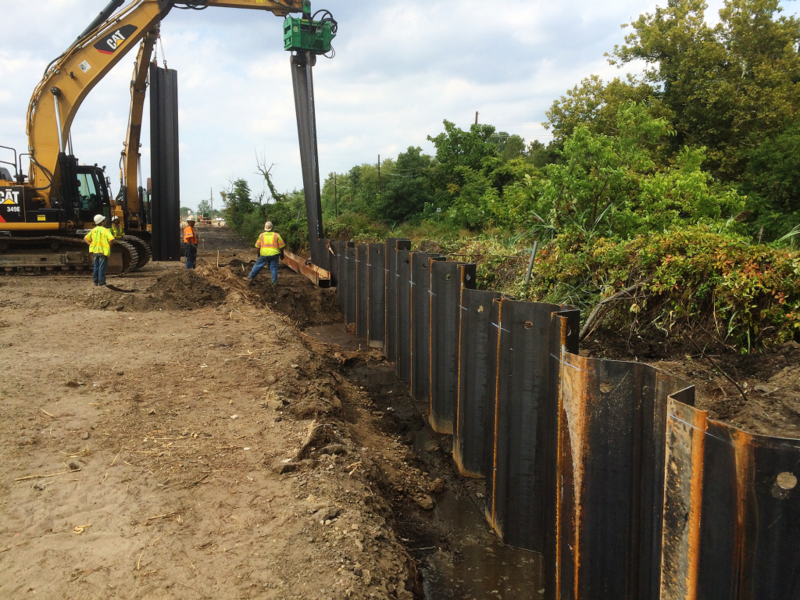 In order to meet the challenging schedule, South State worked double shifts for the first four weeks of the project. 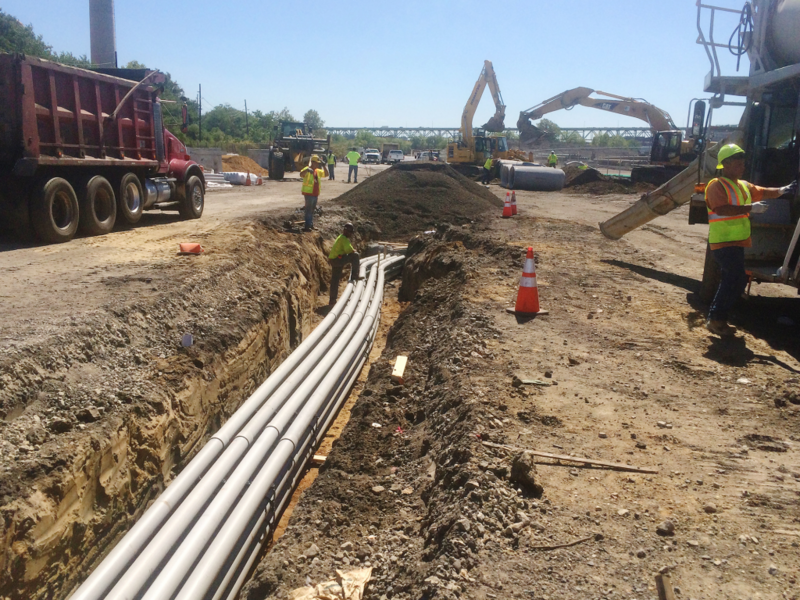 In order to supply enough light weight fill material within the project timeline, South State imported material directly from Greece to the nearby South Jersey port. 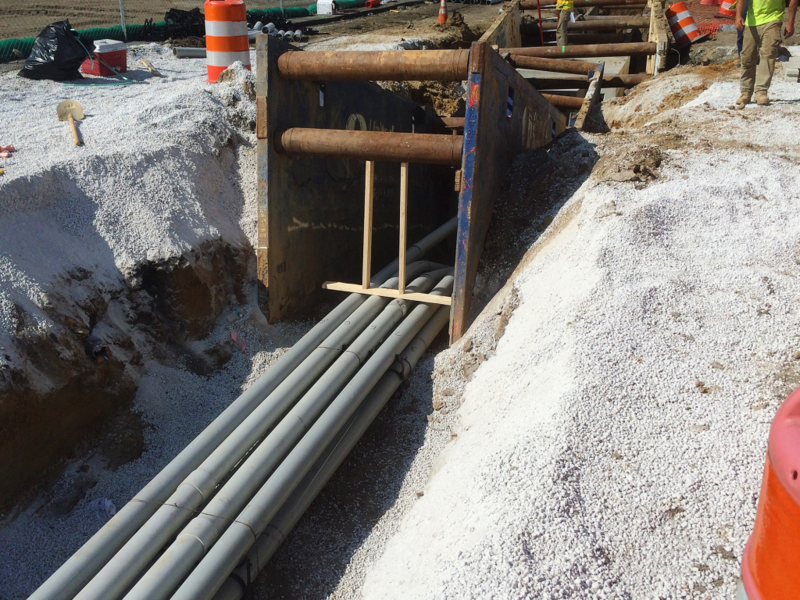 Additional project work consisted of the installation of 2,500 LF of 26kV distribution duct bank for PSE&G along with 7 precast manholes, 3,000 LF of drainage pipe, and 2,000 LF of water main. 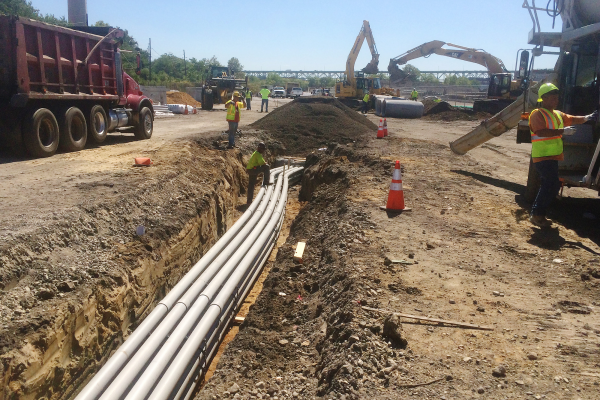 We also constructed the newly aligned S. Broadway with concrete curb, gutte, DGA and approximately 5,000 tons of asphalt. 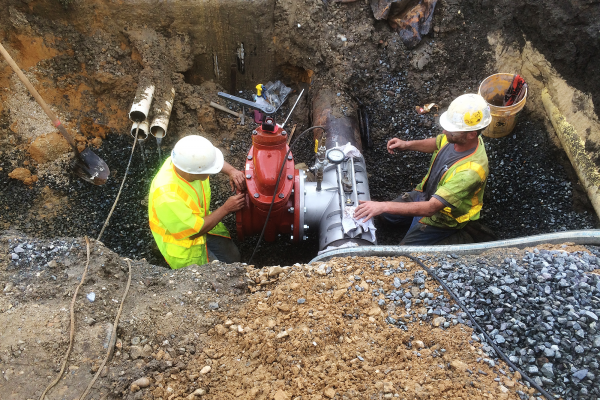 The project was constructed for Camden County in order to realign S. Broadway for the newly constructed Holtec Facility.